During my time as a designer at Sterling Publishing, I had the pleasure of working on re-branding the U.S. versions of the Helping Hands Series by Sarah, the Duchess of York. Utilizing the art from the original books, I created a new logo and branding elements that was easily transferred from book to book throughout the series. To give the series a fresh new look, I used a bold and modern title treatment and created a colored border element that was easily adjusted to give each story its own distinguished color scheme. This border was also utilized to create visual interest on the cover by having selected elements overlap the frame. You can see the rest of the re-branded series on Amazon.com. An example of the UK versions of the book, please see here. Designed different versions of Sterling Publishing's audio book series, Listen-Along Storybook (originally "Library") using the bird from Sterling's children's books logo. 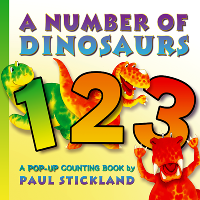 Design of series logo, title and border of new sticker books at Sterling Publishing. 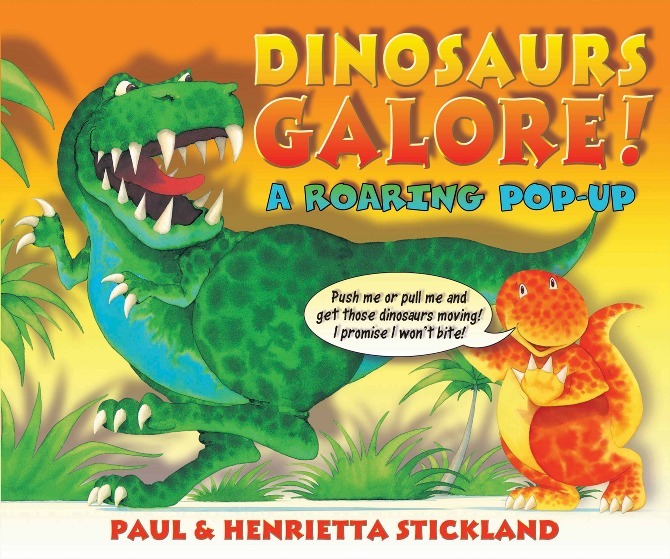 Fresh designs of the reissuing of Paul & Henrietta Stickland's beloved dinosaur pop up books. you can see the originals here and here. 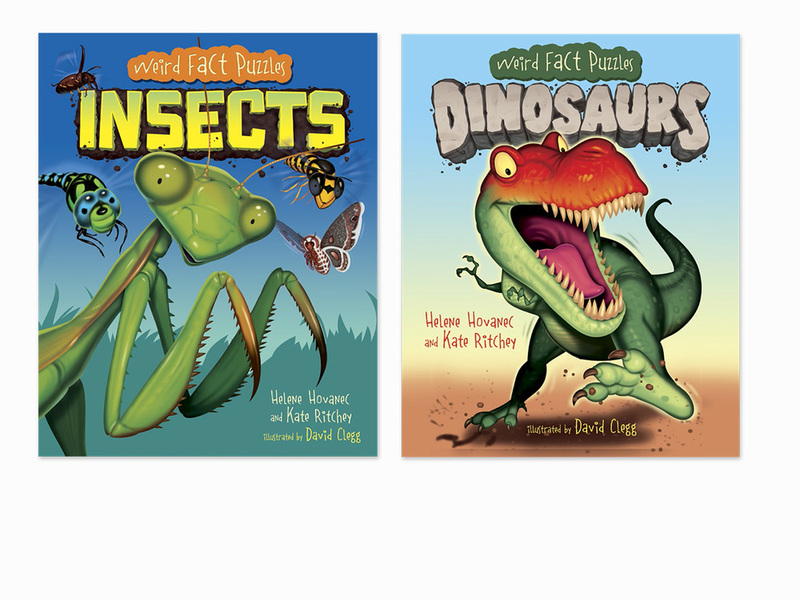 Logo design and branding for new puzzle series at Sterling Publishing. 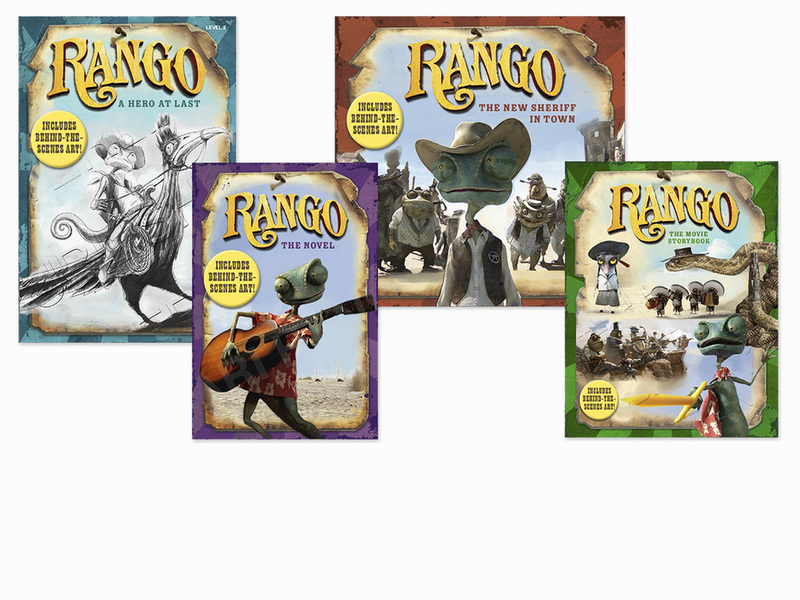 Mock ups of storybooks that would tie in with the release of the Tim Burton movie, Rango. These mock ups were to show the unified look of the series and were created by using movie stills that were provided by the studio. 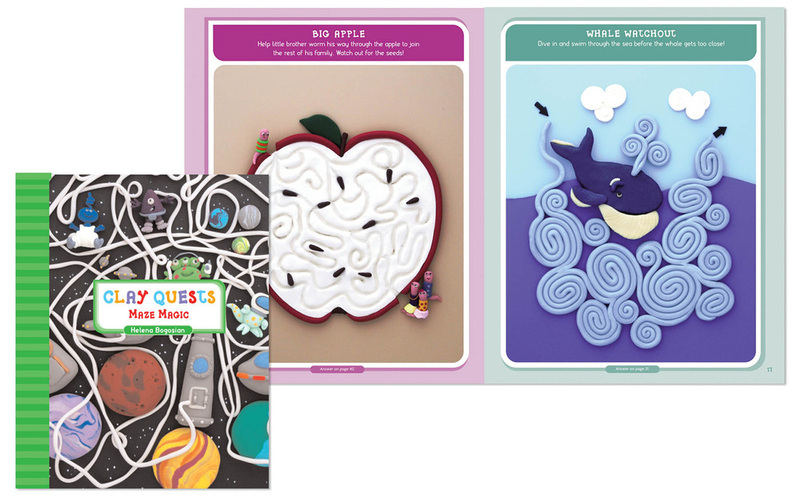 A new series from Sterling Publishing of puzzles made from polymer clay. Designed the branding of the series with a logo treatment and interchangable series band and border treatment in the interior.